More then 300- sq.m advertising fits on a middle class hot air balloon! We can develop, design and manufacture any advertising cloths for you! We can produce a hot air balloon of ANY shape, almost ANY complication and configuration! 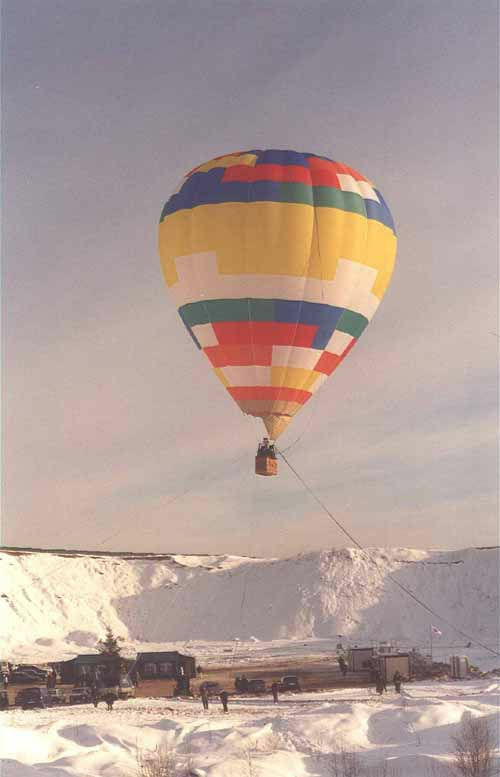 We have a rich experience in developing and producing hot air balloons. 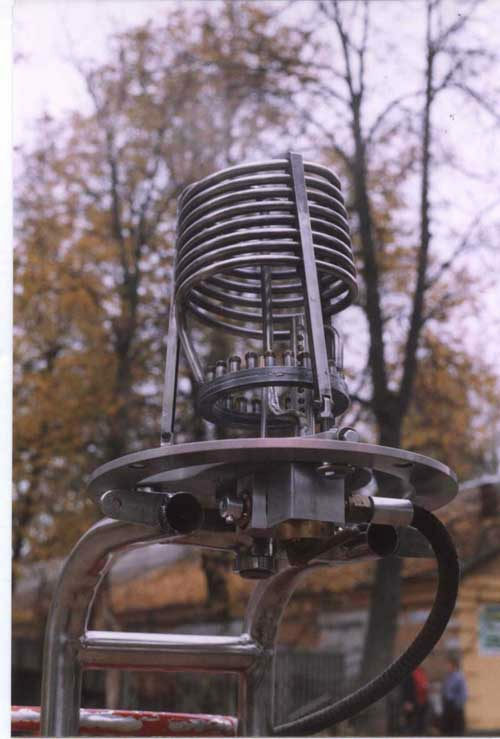 Aviatron is the only company in Russia and former Soviet Union, developing and producing a one-phased single unit gas burner. 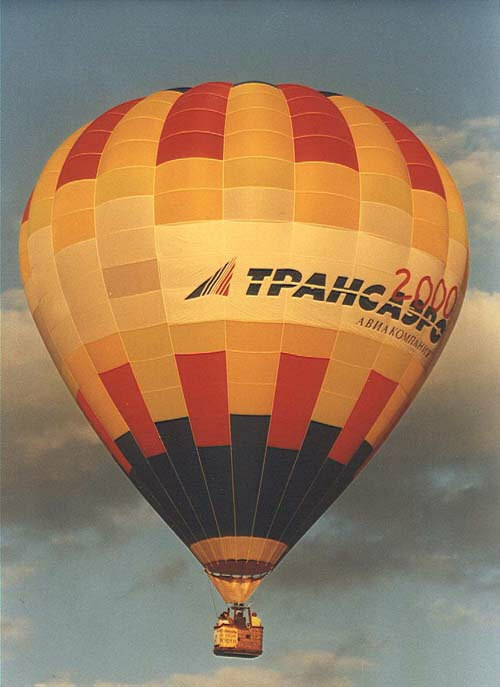 Our pilots fly the biggest balloon in Russia, which was created by Aviatron - 3990 cub.m. We also design and produce balloon wicker baskets, light "Hopper" type harness systems for one-seater hot air balloons, rigid two-seater harness systems, as well as hot air balloon envelopes of various classes and almost any special shaped envelopes. АХ-4type AV- 22, with 650 cub.m volume. 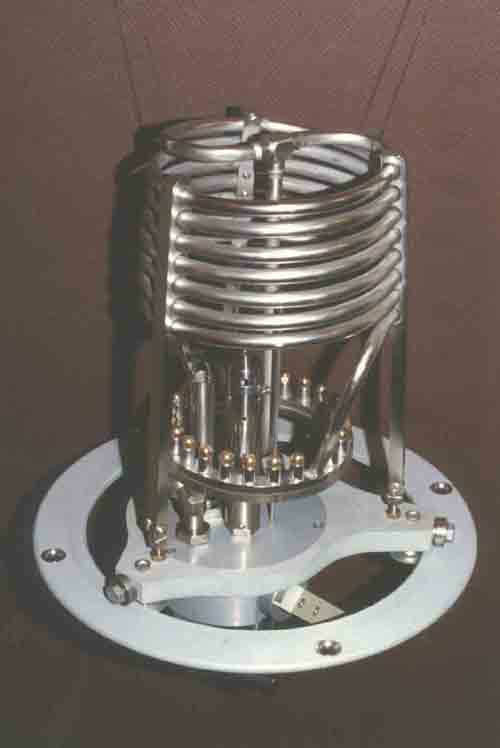 Similar product is - "Hopper". Single-seat without a basket: the pilot sits in a soft paragliding type harness system, attached to a steel load-bearing frame. 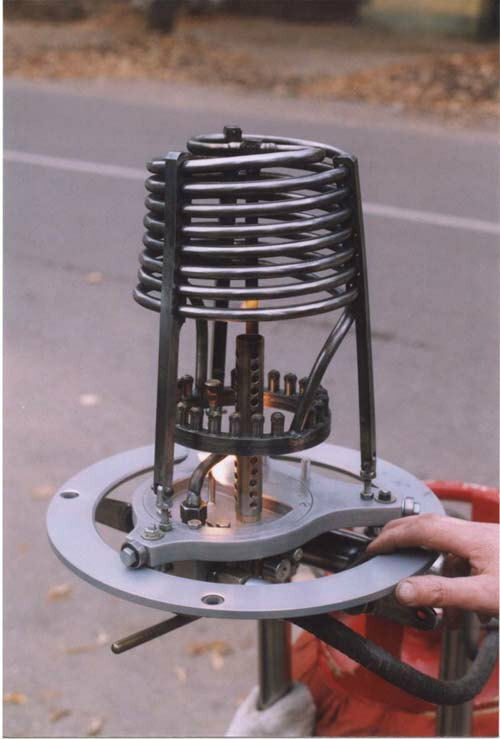 Uses a standard gas cylinder (55 l), placed behind the pilot. The flight lasts minimum 1.5 hours, after the flight the pilot lands on feet. 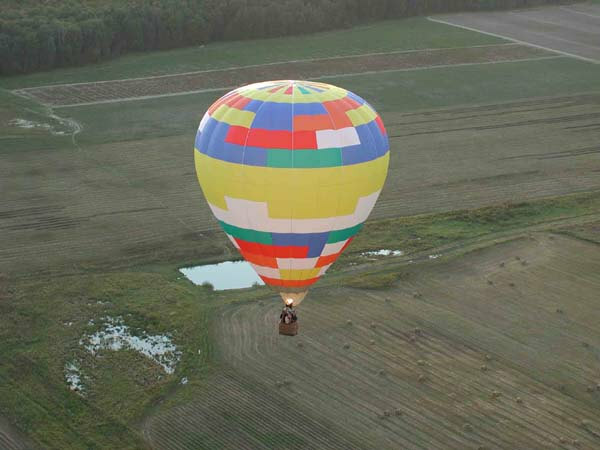 The flight on a hot air balloon of this type is a sheer pleasure. АХ-5, type AV- 42(a), with 1190 cub.m volume; 1/2-seat with the wicker lightened basket (95x105), single burner and two gas cylinders. Transportation of this type and of all the types below requires a car with a trailer. АХ-5, type AV- 42(b), with 1190 cub.m volume; Double-seat without a basket, single burner. The pilot and one passenger sit in a hard harness system. A standard two gas cylinder (50 l) can be placed behind those sitting, as well as under the seat (two versions of location). АХ-6, type AV- 56, with 1590 cub. m volume, designed for 2/3 people, a wicker basket (95 x 120 cm) and a single burner. The set includes 4 gas cylinders. АХ-7, type AV- 65, with 1840 cub. m volume, designed for 3 people, a wicker basket (100 x 140 cm) with the upper rims bent inwards, a double burner, 4 gas cylinders. A nice balloon for competitive flights! АХ-8, type AV- 90, with 2550 cub.m volume, designed for 5 people, a wicker basket (115 x 155 cm) with straight upper rims, a double gas burner, 4 gas cylinders. АХ-9, type AV-140, with 3950 cub.m volume, designed for 8 people, a wicker basket (120 x 195 cm) with straight upper rims, a double gas burner, 4 gas cylinders. 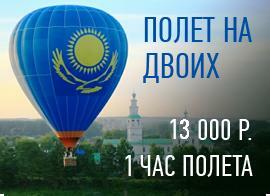 Also: in quite short term we can create a project and develop a hot air balloon, for 10, 12 or 15 people. Wicker baskets are supported with a stainless steel load-bearing frame, security hawsers, oak bars in the base, a floor made of aviation plywood, covered with a carpet cover; the upper and lower basket rims are finished with genuine leather. At the Customer's request, the basic set might include some piece parts, spare parts, flight and navigation equipment, aviation range radios. The lead-time depending on the type of the hot air balloon you choose is 30-45 working days. As regards the special shape envelopes, the lead-time depends on the shape complexity and is negotiated separately. The above period does not include the time required for the delivery of a special fabric from the manufacturer to AVIATRON if you are not comfortable with the fabric available in stock. The fabric purchase and delivery normally take from three calendar weeks to 1.5 months. You can order or render a hot air balloon here right now! Three steps towards your own hot air balloon! 1.Choose the colorful composition of the envelope using the two scales, given below. Scale #2 introduces colorful placement of horizontal (from 16 and up, depending on the balloon type) and vertical (24-gore) rows of the fabric. Scale #3 gives the colorful gamma, along with colors numbers and names. Fill in the Scale #2 with the names and numbers of the colors you want, choosing from Scale #3. 2. Choose the balloon class, type and volume you prefer, using table on page 5. 3.E-mail us the chosen variant, leaving your contact information. Or simply describe how you see your future balloon. We shall submit to you the coloration, balloon set and terms, supplying you with electronic portrait of your balloon from different directions during the flight. In the set up time after 50% pre-payment, your hot air balloon will be produced and tested.